Bremshey RN5 Treadmill provides more running space, a thicker running belt, more training programs, a stronger motor and an elevation up to 12%. 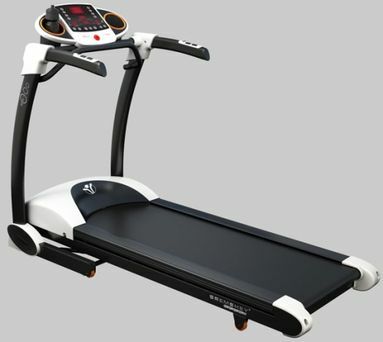 The RN5 is a safe and comfortable treadmill enabling you to compose your own favorite training schedule. With the easy going soft drop and lift systems, there is no need to put your muscles at use when folding and unfolding the machine. The use of only one finger allows you to fold or unfold the treadmill. Very convenient if you want to clean up or just save space. *Note: Most of the sites, stores or shopping portals listed above sell Bremshey RN5 Treadmill with discounts and other exciting offers. There is a possibility that the some of above websites are not selling Bremshey RN5 Treadmill now. Toughtrain.com is not liable for such cases or instances. Also we do not recommend any seller for Bremshey RN5 Treadmill and a buyer should buy from where he/she gets best deal with quality of products, service and on time delivery (shipment).